Mist shout: This big sized mist will slow your movement speed. Charge: Crawler stands ready to charge forward with a headbutt. 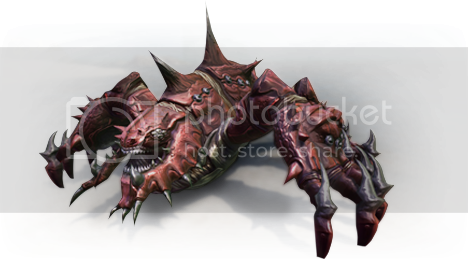 Claw: Crawler's default attacks are hitting twice with his claws. 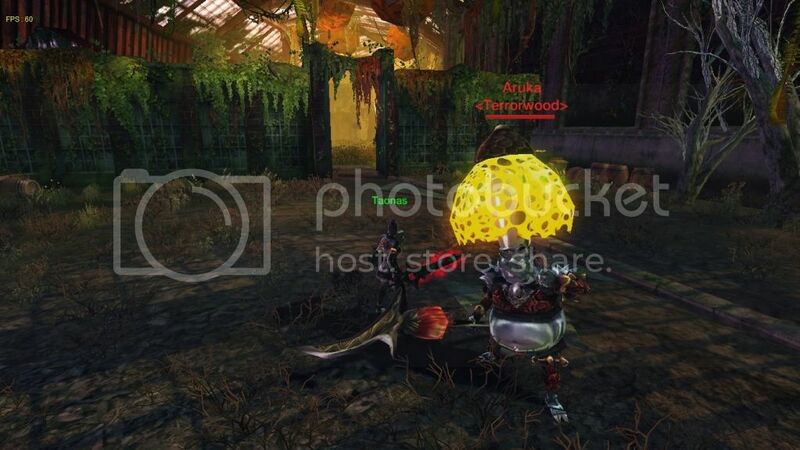 Hint(s): Take advantage of the shield and use the #2 skill to knock crawler down. Pillar smash: A normal swing to hit from horizontal or vertical on his target. Pillar smash rage: A frontal unblockable smash on the ground with the pillar or AoE close to him. Hint(s): Take advantage to go between his legs. Leap attack: A large leap up into the air and decides to land and cause AoE damage. Spit roar: Saving a large amount of saliva to spit from his mouth. Swallow: Decides to swallow you and chew on you for a bit and spits you out because you aren't delicious. Claw pounce:A left/right sweep that actually moves himself forward while doing this. Tail whip: Fleetfoot gets angry and sweeps 360 AoE with his tail to knock enemies away. Howl of Pack: Fleetfoot starts to howl once he reaches below 40% and decides to bring 3 wolves with him to take you out and your allies. Spider Web Shot: A straight line spider web shot directly from her mouth which entangles your movement. Spin attack: Teresis starts to spin herself to knock enemies away from her (AoE). Spin and shoot: Similar to Spin attack except this one shoots spider webs to entangle you. Leap: Who said spiders can't jump? This leap attack will leap from X to Y position. You will take damage if you get landed on Y or at start of X position. Spin attack: Borgo starts to spin 360 and hits everyone with his his club within range. However he gets dizzy. Bomb throw: The goblin starts to throw three bombs at different distances. 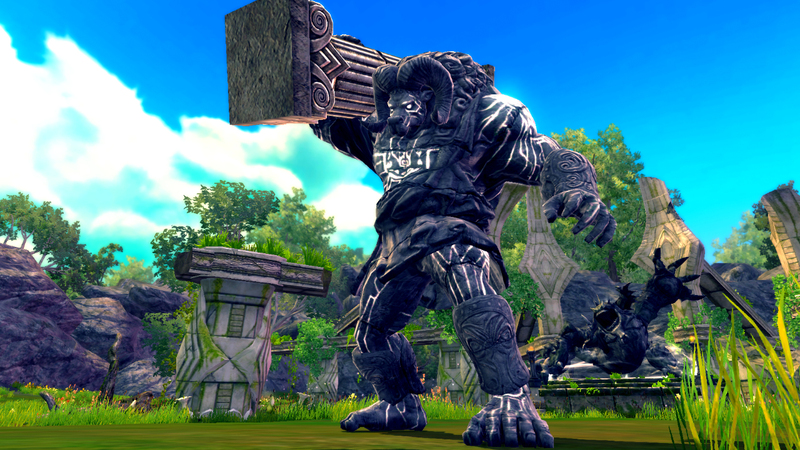 Golem smash: The golem starts to smashon the ground twice and leaps forward. Donkey kick: Standing behind the golem will sometimes result in a donkey kick in the nuts. Charge: Aruka charges with his spear by running around. Sleep Mist: Charges up and does AoE sleep to all enemies within radius. Spin attack: Aruka spins 360 with his spear and deals multiple hit and knocks away enemies. Venom spit: He saves up saliva and spits a green spit that is standing front of him. Hint(s):Evasive skills breaks the sleep effect or by standing at distance. Special drop:Tail/Root & petals to recover Energy/Health. Bury: She starts to bury herself down to the ground to perfom different attacks. Poison Spore: The spores comes up as DoT when she bury herself. Rooted Healing: This skill heals herself by being rooted to the ground. (this won't occur if her tail/root is chopped off). Thorny Spikes: As soon as she hits the ground with her mighty hands, roots comes up from the ground to pierce enemies. Poison breath: This breath is frontal, devastating as it leaves poison effect and direct damage upon hit. Poison spit: Spitting out poison and lands in an AoE circle shape on the ground. Charge: She moves to another spot by charging towards the enemy. Hint(s):Chop off her tail to remove remove her ability to heal and release poison spores.